While the front of house (FOH) might be the face of your restaurant, you know the interaction between the front and back of house (BOH) is crucial in providing a great customer experience. You also know all too well, the variety of issues that could lead to a breakdown between FOH and BOH. The goal is to identify these issues before they lead to bigger problems. 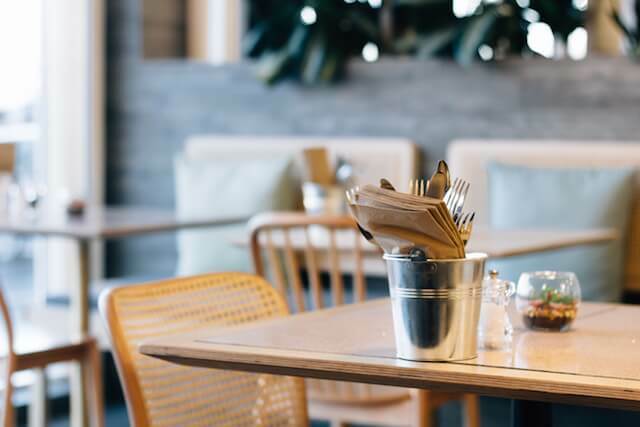 So often on our blog, we talk about the interaction between customer and employee—or in the case of restaurants, diner and waitstaff. At RBG, we believe the customer experience is one of the most important factors in evaluating the strength and longevity of a business. But we also know your restaurant business relies on so much more than the employee-customer interaction. For instance, the members of your waitstaff could be attentive with guests and have the most delightful personalities—but what if the food is coming out late or the table beside the guests hasn’t been bussed in a half an hour? Maybe your chef has prepared for tonight’s special, but someone did not instruct your servers how to promote it. Or a customer’s order came out wrong, so your server requests a correction. Your line cooks get to work on fixing it, but it comes out wrong again. These scenarios and many others will ultimately equate to poor customer service. But achieving excellence requires honest and thorough evaluations of the process and the execution. A problem in your FOH and BOH operations might not reach you until the damage is done. An audit could help you detect these hidden landmines before they blow up. Looking at some of the examples above, maybe the table left messy for too long is the result of a busser who got pulled away to help in the kitchen. Or maybe the busser is just negligent. How about the incorrect order? Without an audit, you wouldn’t know that a “game of telephone” left the line cook with incomplete information. Even if you stay on top of the issues, you need clear, impartial information to make effective decisions about course corrections. Employee input and customer feedback are important. But the perspectives of your staff and customers are limited, and could be affected by emotion. At RBG, we can help you create a thorough and unbiased audit , which you can customize in many ways for a variety of scenarios. An RBG account executive will then regularly discuss results with your leadership team. Your team will collaborate with the account executive to modify audits as necessary in order to ensure correct and relevant ongoing data. We invite your team to start working with our team of auditing and mystery shopping professionals so we can help give you the clarity to see through the problems to a future full of successes.